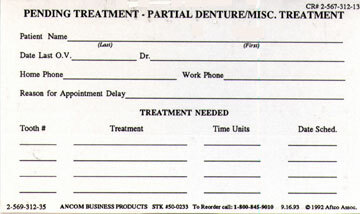 Item# 50-0233 Pending Treatment Cards-Partial Denture/Misc. 5" W x 3" H. Black ink on gray stock. Price per 100.